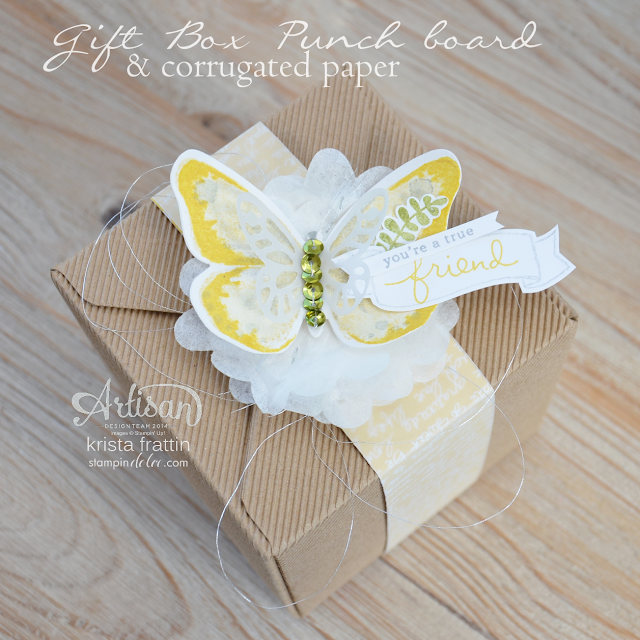 I created the cutest corrugated box using the Gift Box Punch Board. The new corrugated paper is a match made in heaven for this punch board. I tried a couple of new things when I was dolling up my box. First, I layered Velum over the Designer Series Paper to soften the look. 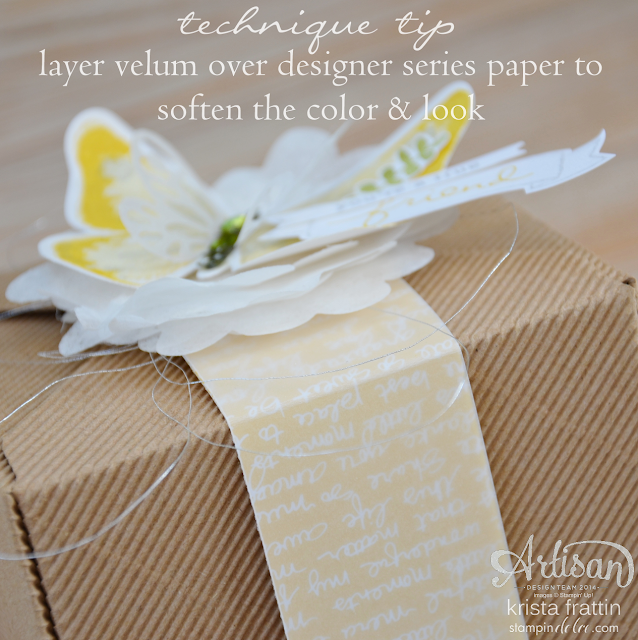 You may want to make sure that your script on the Designer Series Paper is right side up .... I noticed when I was photographing my box that the script is upside down. oops! Second, I sewed the Brights Sequin Assortments with the Metallic Silver Thread. I used the Old Olive Sequins to match the color scheme of this box. I hand stitched the sequin by hand to the cardstock and vellum butterflies. Behind the butterfly I layered a bunch of Filter Paper that I cut with the Big Shot and the Flower Fair Framelits. I also hand stitched these together with the Metallic Silver Thread. I think that my special friend will be thankful to receive this little gift ... I know I would be! 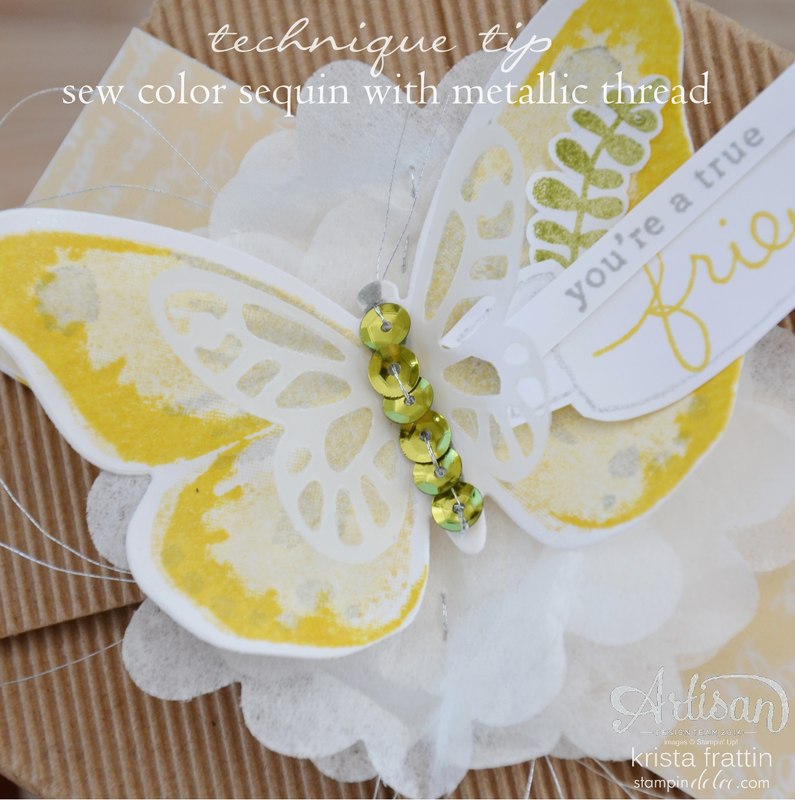 Next on the blog hop is Lisa Harlow. Click over to Lisa and see what she has created to say a little Thanks!